Ever since I started working on this review, I have been having weird dreams. This makes a lot of sense. 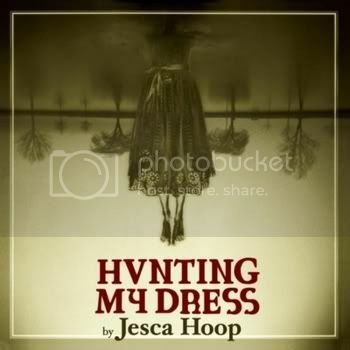 On Hunting My Dress, Jesca Hoop presents a set of songs that sound like the state between dreaming and waking. There is tumult, as you try to sort dream from reality. There is the desire to hang on to and understand the dream, conflicting with the need to gather your thoughts and exist in the waking world. Hoop matches words and music perfectly to capture this state. It doesn’t always make sense completely, and nor should it. But it has a great power, and it is a rare artist who can capture this state at all. Let’s start with the voice. Jesca Hoop is blessed with a great range. She can intone lyrics in a low alto, or whisper them in a high soprano. Sometimes, as in the album opener Whispering Light, she does both in the same song. And she makes it work. Hoop is not just showing off; she uses that great voice to serve the song. The band behind her is spare, with drums, bass, electric and/or acoustic guitar, and subtle synthesizer parts. The playing is not flashy, but this is a band that uses dynamic shifts for great dramatic effect, going from soft to loud and back on a dime. The arrangements also swell and subside, like the lapping of water with sudden higher waves. This music is also rhythmically tight. The band sets up a particularly strong groove on Four Dreams, drops it suddenly, and then rebuilds it. The songs seem to be about love and darkness. The title track expresses love in terms of predator and prey. The consummation of that love is described this way: “And I will give my flesh, And my blood and my marrow, And you will wear my bones and my skin.” Indeed, Hoop often reminds us here that the root word of consummation is consume. Tulip starts out as an impossible task song, like Scarborough Fair, but turns into a murder ballad. This takes place against the backdrop of the Dutch Tulip craze, a time when tulip bulbs were valued like internet stocks or subprime mortgage securities. This really did happen, and the values that tulip bulbs had at that time are not out of line with what is expressed in the song. The songs I have chosen to post grabbed me first for their sound. It just happens that each seems to be an account of a dream. In The Kingdom, the narrator is visited by ghost, who takes her to a battlefield to collect the spirits of the slain, and help them to the Afterlife. I just talked about this in my last post, on I Go Like the Raven, and I should probably be a little concerned that this idea is following me around. Four Dreams has the feel of an actual dream, more so than anything else on the album. Actually, it’s like a rush of dreams that sometimes happens when you are trying to wake up. The meaning is confused, there is a sense of being in a rush, and images just tumble out. The pace of the song accentuates this feeling. Overall, Hunting My Dress is a passionate album, and one whose emotional impact I will probably still be sorting out for a while. The music sounds simple in places, but this is certainly an album that rewards repeated listening. It comes out on July 27. My advice is to get a copy, but you might only want to play it in the middle of the day. Or you might want to play it just before bedtime, and have some unusual dreams of your own.